I put everything into my art: everything I see, every emotion I’ve felt, every experience I’ve lived through. I try to be open, alert, and in touch with life in the act of making art. 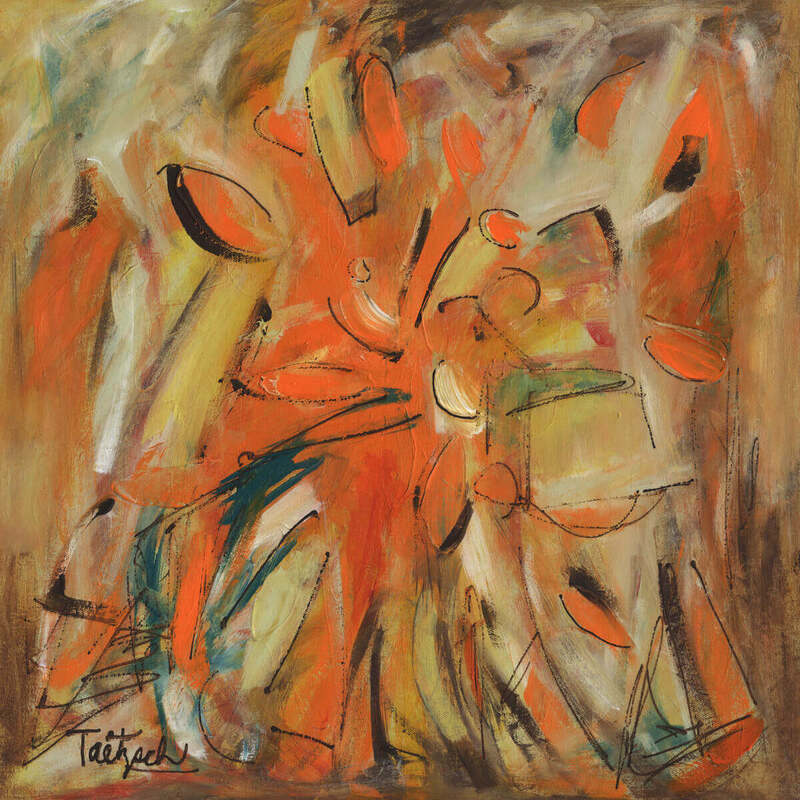 Lynne Taetzsch – fell in love with the abstract expressionist painters! At Cooper Union in NYC, I studied life drawing and two and three-dimensional design, but I also fell in love with the abstract expressionist painters I saw in the galleries downtown. My own art became more abstract until I found a way to express myself through gesture and improvisation. I can’t remember a time when I didn’t love arts and crafts. This is what I spent my small allowance on. It’s how I spent my spare time. It’s what I did with my friends. We had a “craft” club during the summers, and later I was president of my High School arts club. As a young teenager, I liked to draw portraits of family members–anyone who would sit still long enough for me to capture their likeness. I remember finally getting my mother–who was always busy with 6 children in the family–to sit still so that I could draw her. When I finished the drawing, she took a look at it and said, “Is that how you see me?” She was disappointed that I hadn’t made her more attractive, but that was never my goal. When I went to Cooper Union Art School in NYC, we often visited galleries there. 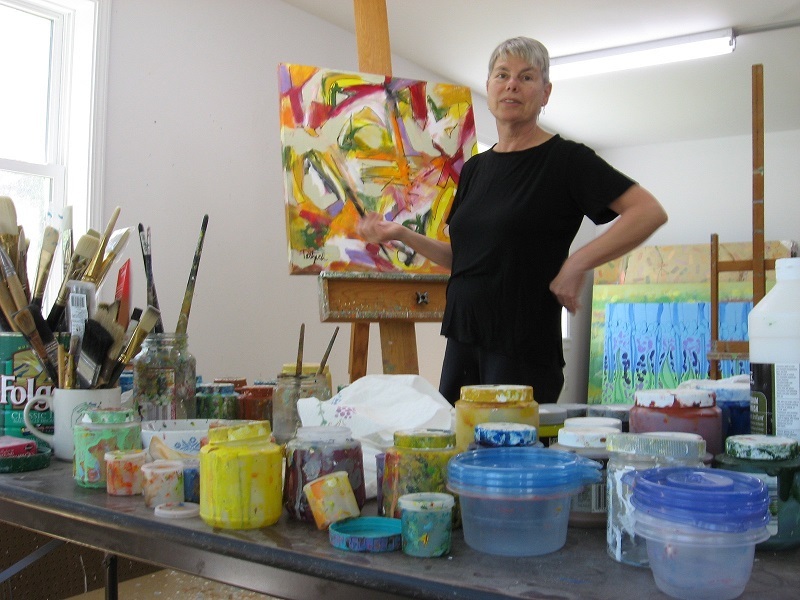 The first time I saw the abstract expressionists, I fell in love: Jackson Pollock, Franz Kline, Helen Frankenthaler–it was the energy and powerful impact of their work that drew me to them. My work is about color, energy, and composition. It is bold and does not blend quietly into the background. 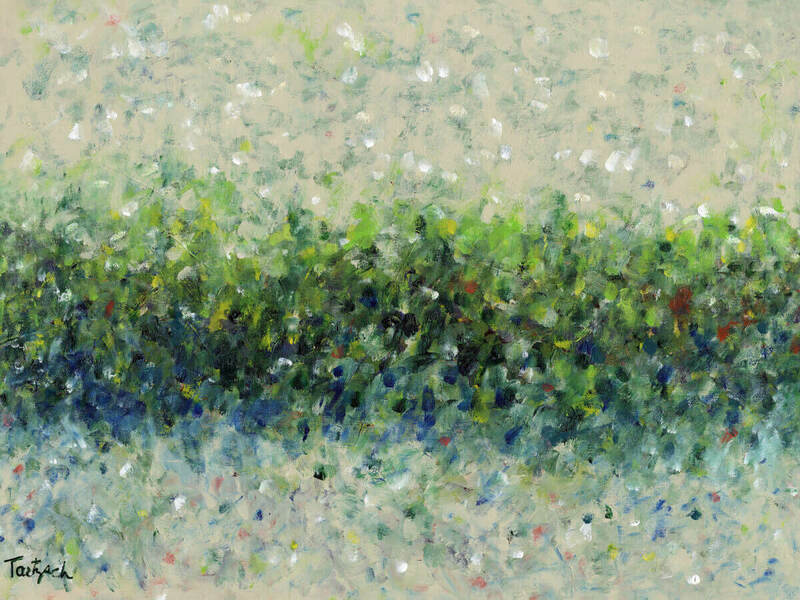 It is certainly gestural and expressionist, but some pieces have an impressionist feel to them. 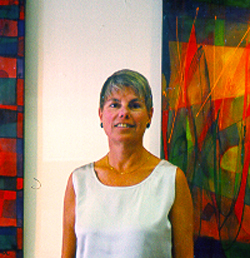 I sold my first painting to a friend’s mother when I was an 18-year-old student at the University of Southern California. It felt great. I’d sold some of my art to family members before that, but I don’t think that counts. Because I paint in layers and each layer has to dry before I can paint the next, I often work on two or more canvases at a time. It really depends on the painting. I don’t think a professional artist needs to wait for inspiration. I go into my studio and start painting. Of course, there are practices that get me started. Sometimes it’s the color I choose to use first: it suggests the next color, and soon I’m lost in the painting process. Sometimes I have a general idea for a background–an assemblage of colors and lines. Then I go from there. I never decide ahead of time what a painting will look like when it’s finished. It’s the process that decides, and I have faith in that process. I have one daughter, three step-daughters, and five grandchildren. One of my granddaughters decided early on that she wanted to be an artist, and it’s been my pleasure to encourage her along the way.